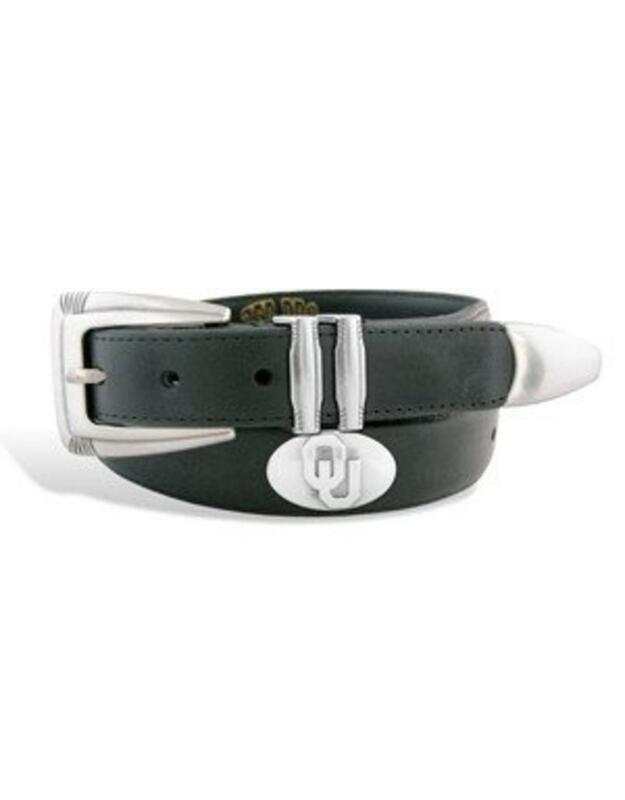 Show off your Oklahoma Sooners team spirit with this official NCAA licensed dressy leather belt. A subtle way to support your team while accessorizing any dress attire. This black genuine oil-tanned leather belt features an ornate silver gun metal buckle, keeper, tip and tapered ends and is embellished with four silver gunmetal Conchos on the belt. Fits slacks that have a minimum loop size of 1.25-Inch. Belt size is one size larger than pant size.